Witte 400 Series vibrating plastic pellet classifiers combine drying, cooling and classifying in a single, self-contained unit. Your Witte classifier is guaranteed to work as specified. 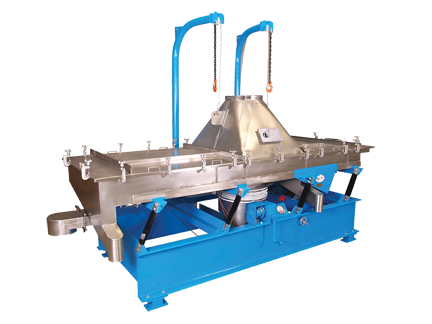 Witte 200 Series vibrating plastic pellet classifiers are trusted as the workhorse of the plastics industry worldwide for their smooth, dependable, non-stop operation and easy access for cleaning. Choose single or double separation models. Your Witte classifier is guaranteed to work as specified. 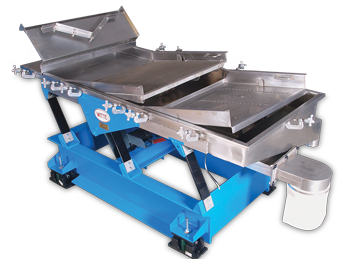 Witte vibratory conveyors provide an easy, robust solution for moving a wide range of bulk materials. 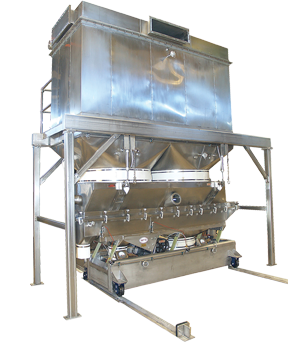 These conveyors are offered in rectangular trough and in tubular configurations and are highly customizable. Sanitary designs, too! 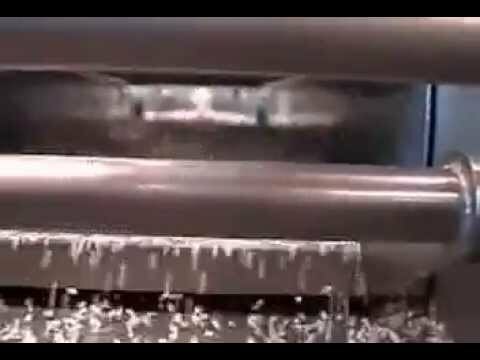 Your Witte conveyor is guaranteed to work as specified. 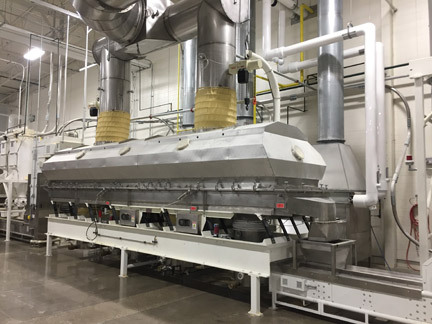 Witte’s integral baghouse dust collector drying system captures fine particles entrained in the airstream and returns them to the process as product. Now, fluid bed drying can be used for products less than 250 um. 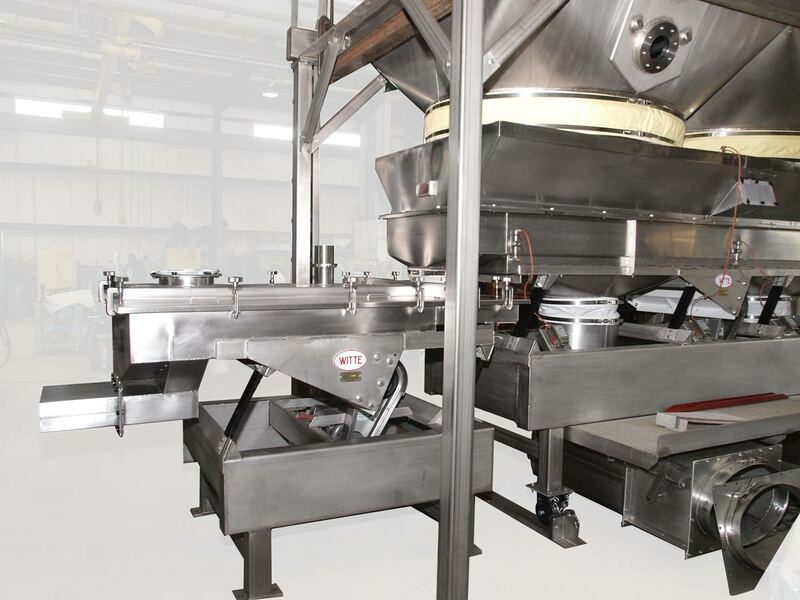 The Witte Company designs and manufactures drying, cooling, screening and related vibratory process equipment at its headquarters in Washington, New Jersey. Family-owned and operated since its founding in 1938, Witte has earned a stellar reputation for engineering expertise, craftsmanship and personal service. Witte equipment is guaranteed to work as specified. 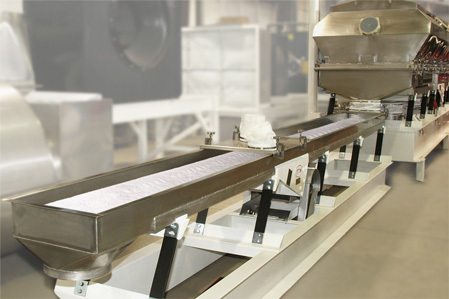 Witte sets baghouse dust collector atop fluid bed dryer to capture entrained fines.